We are pleased to announce a weekend of special events with the very esteemed Luang Por Liem, Abbot of Wat Nong Pah Pong Monastery, July 3rd – 5th. Accompanying Luang Por Liem are the venerable Luang Por Pasanno, Abbot of the Abhayagiri Monastery in California, and venerable Luang Por Jundee, Abbot of the Wat Pah Ampawan in Thailand along with several monks from their respective monasteries. Luang Por Liem Ṭhitadhammo, a Buddhist monk in the Thai Forest Tradition since 1969, is considered to be one of the greatest living meditation masters in Thailand. He trained under the late meditation master, Ajahn Chah, and now follows in Ajahn Chah’s footsteps as the Abbot of the Wat Nong Pah Pong Monastery. 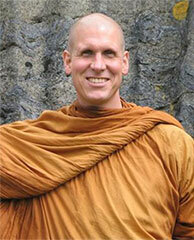 Ajahn Chandako, the abbot of Vimutti Buddhist Monastery, will be visiting June 12-15th. Friday June 12th, Ajahn will be speaking at the Portland Friends of the Dhamma, and then coming out to visit the hermitage for a couple days. 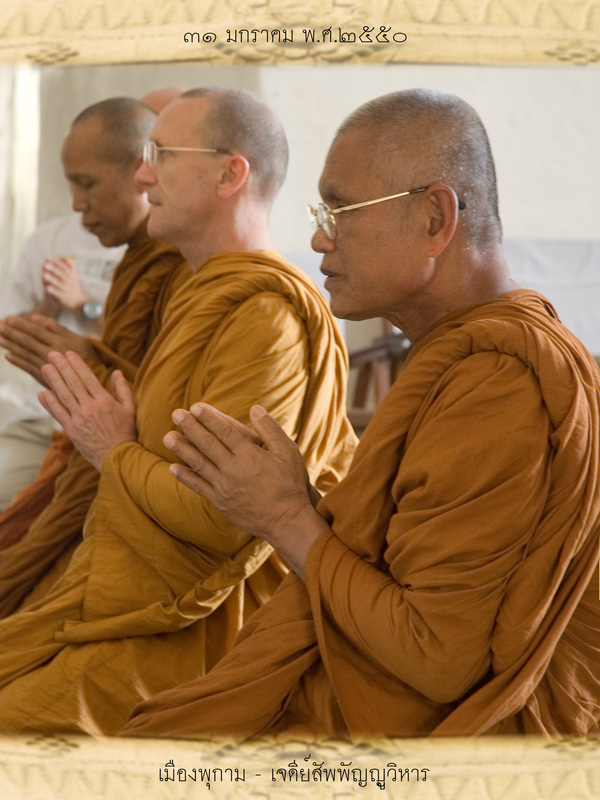 Ajahn previously spent a long period of retreat in the Portland area, and has visited the hermitage twice. Please join us welcoming him back for another visit. 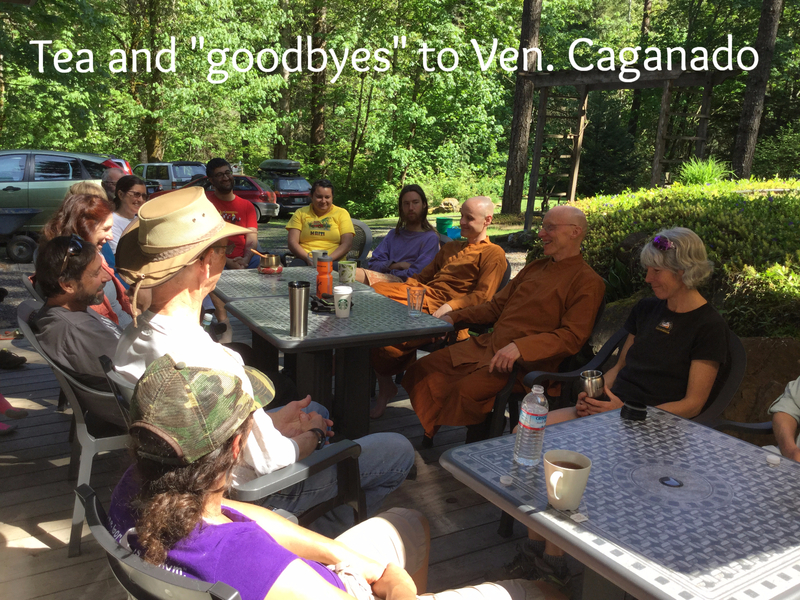 In addition to the talk in Portland, Ajahn will be walking for alms and available after the meal offerings on Saturday and Sunday at the hermitage, June 13 & 14th. He then began wandering, seeking out forest meditation masters and studying with them. Along the way he translated into English many of the teachings he received in Thai. Included in his translations is Ajahn Chah’s Unshakeable Peace. Ajahn Chandako is also the author of A Honed and Heavy Axe. 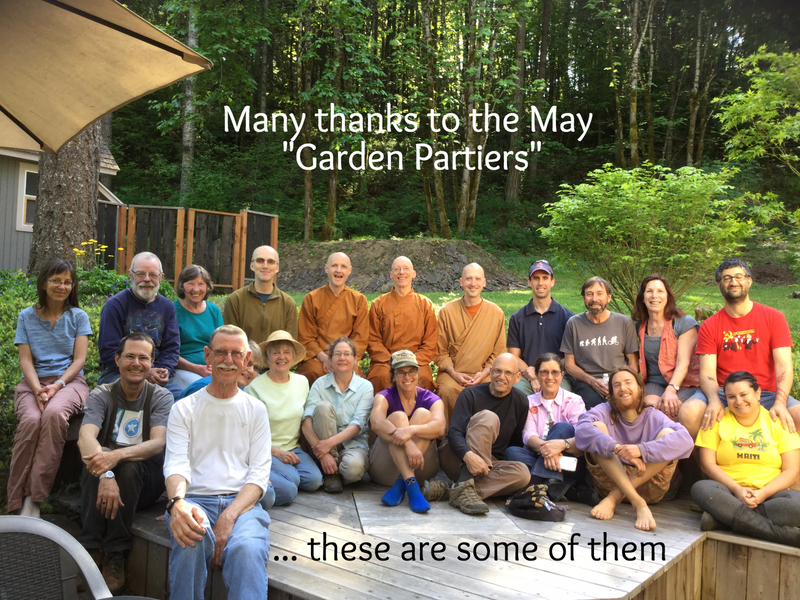 On Saturday, June 6th, from 1-3 pm, we’ll be hosting the second of our summer “Garden Parties.” This is a fun way to join with the monks and others in helping care for the Hermitage grounds. Our monastic rules prevent monks and nuns from many aspects of gardening, so any help you can offer for the care and maintenance of the Hermitage grounds will be greatly appreciated. Join us for any amount of time you care to offer. 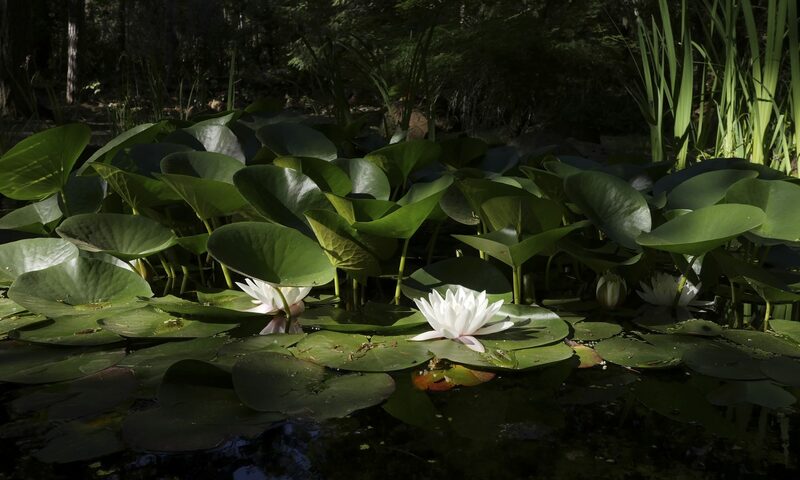 We need loppers, pruners and weeders, especially for clearing the forest path and meditation spots in the forest, removing a little thistle and many weeds from the garden areas, and cleaning up around the pond. Please bring some gloves and your favorite garden tools. We have a limited supply. If you have any questions or you would like to come help us at another time more convenient to you, please contact the Hermitage: hermitage@abhayagiri.org We’ll have additional Garden Parties on the first Saturday of each month, through October.